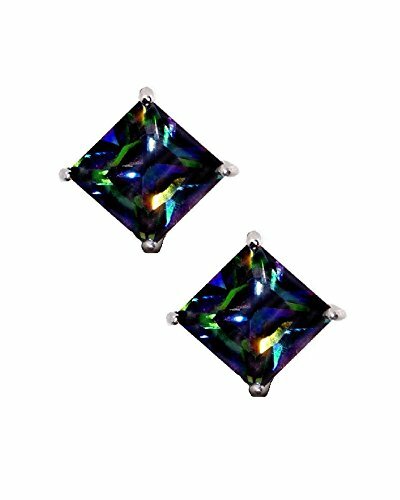 These designer inspired stud earrings are made of solid .925 sterling silver. Lots of sparkle are produced by a magnificent multi color rainbow mystic square princess cut cz cubic zirconia stone in a 4-prong basket setting. UNISEX. FOR PIERCED EARS ONLY. Available sizes 5mm (0.2"), 6mm (0.25"), 7mm (0.28"), 8mm (0.32"), 9mm (0.35"), 10mm (0.40") and 11mm (0.44").